I love all animals but it's pretty obvious that I am cat crazy, I've owned cats since I was 5 years old and now have my own baby boy Prince along side his big sister who lives in Devon with my mum - Pippa! 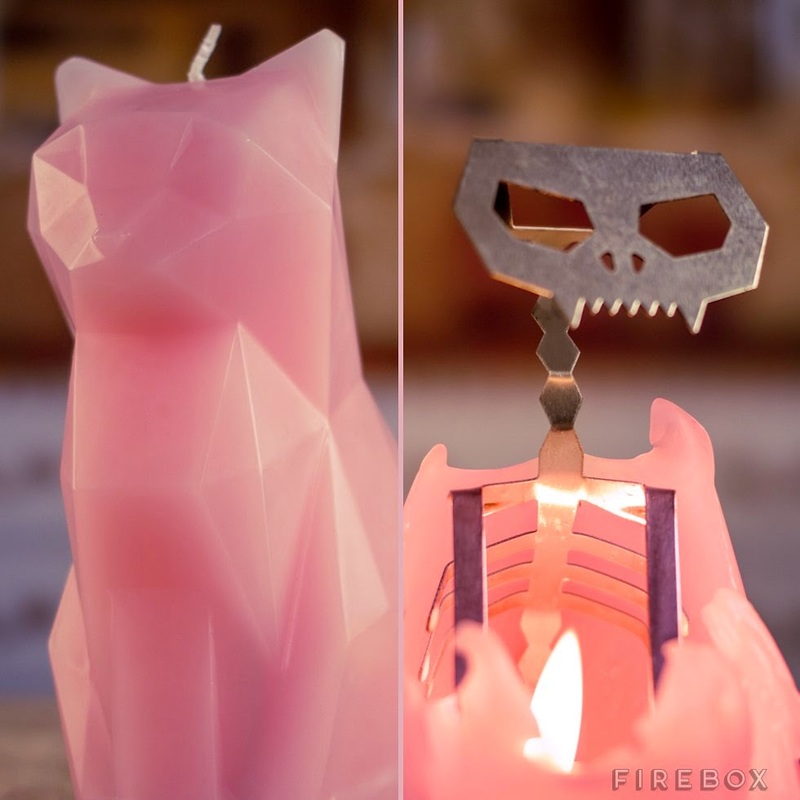 Pyro-Pet Cat Candle - Firebox. This is a little morbid (but so am I) but I lovee that when you burn down this candle you are left with a kitty skeleton afterwards! It's such a great and gruesome idea. 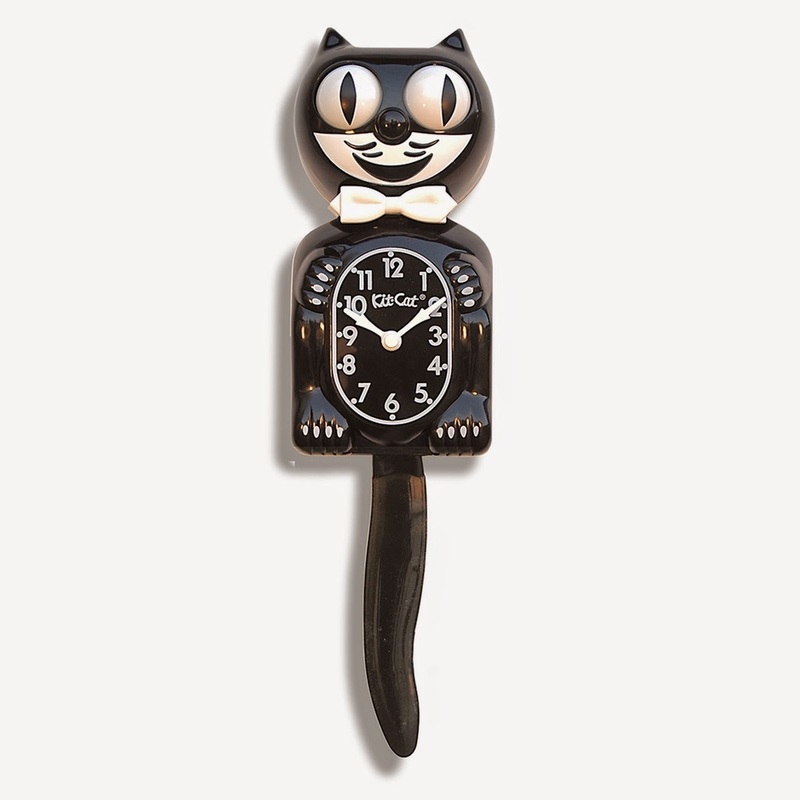 I've always wanted one of these since I was a kid, they are so classic and cute, I just love the tail/eye movement as it ticks. This is so sweet! Like I need more mugs in my cupboard but how can I resist this one?! 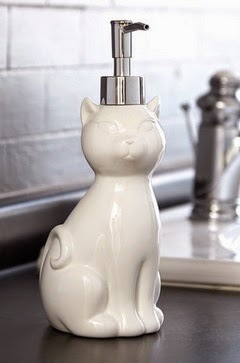 Cat Soap Dispenser - ModCloth. This is gorgeous, so poised! It's also ceramic for an easy clean. I am a HUGE DollyDripp fan, everything is handmade with lots of love and attention paid to each item, so well worth the price tag. 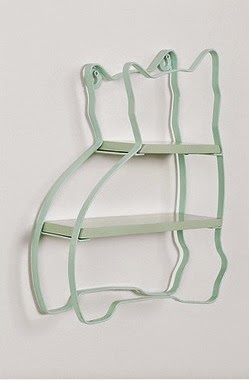 Mint Cat Shelf - Urban Outfitters. 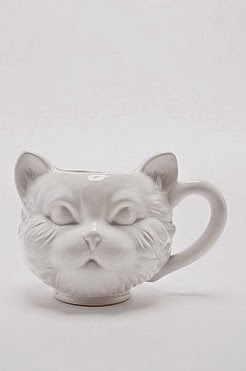 This has been in my UO basket for SO long now! I need to press buy immediately and it is just perfect for my bedroom. What do you think of my kitty-cat picks? 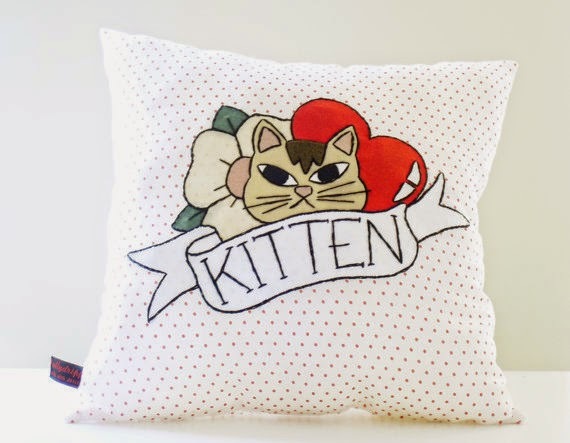 Do you know any other amazing, cute cat items for the home? I had taken a short step away from the ol' blog due to feeling uninspired and too much like a little fish in a massive pond. We will see. Anyway last week I headed over to to Swatch store in Cardiff to have a look around at their new self-winding collection and some of the new A/W collection in store. I've never owned a Swatch before but always dreamed of it, I only have 2 Casio's and am never without a watch (tan lines don't lie). In particular I actually loved the kids watches - Hello Kitty, Cats and Dolphins - dream. But for being a grown up I loved the pink glitter double wraps and also the bright colour double wraps too! I only have tiny little wrists so a small watch is a must. But my favourite by far was the pictured Strawberry Swatch. We had bubbles and mini-cakes which was very nice indeed! I'm off home this weekend, can't wait Cardiff is doing my head in! 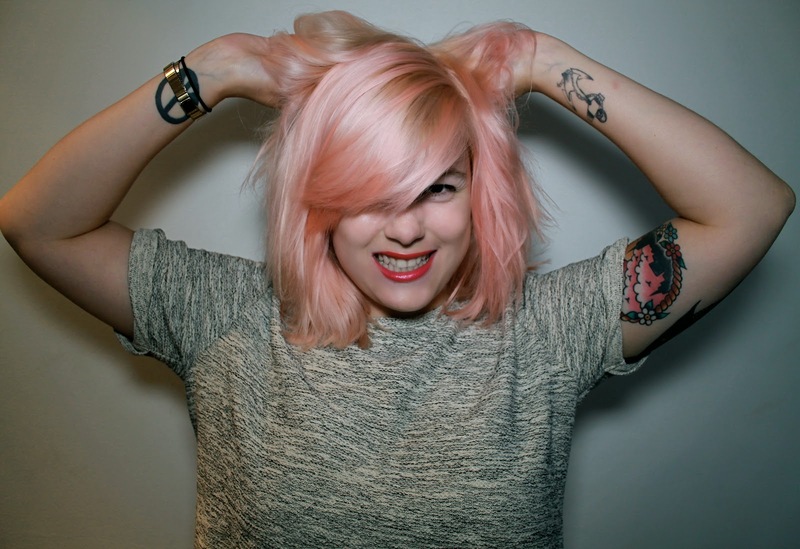 Today I'd like to share with you an amazing and original store named 'Project J' who specialise in handmade jewellery from Europes upcoming Designers. I've heard of many such as I Love Crafty (who I'm a massive fan of) and also have discovered some such as Wolf & Moon who's designs are just amazing and so detailed! The detail on the necklace is what really makes it awesome. I love how the Flourite gems are separated with these little beaded rings. Obviously this is not a real Wolfs tooth but the piece definitely has a tribal/prehistoric feel to it.The speckled Jasper beads look like Dinosaur eggs. and the Flourite I half expect to have a mosquito inside just like the beginning of Jurassic Park. Other items from Coucou Suzette that I've fallen for are the Gold Beetle earrings and the Sautoir Nacre necklace. Here is the second part to my Otter and Butterfly sanctuary visit (you can see the first one HERE) today focusing on the Otters! The Otters are rescued and unable to go back into the wild but are looked after and well loved by the amazing keepers at the sanctuary. The sanctuary runs on the edge of the River Dart which is known for Otter living there. Sometimes babies will get washed away in floods and high winds or will get lost or injured, this is where the team comes in and helps them. I loved seeing the Otter they were so funny and knew exactly when feeding time was and even showed off when people went to take photos (as you will see!) they remind me of cats! Each pen area is suited to each type of Otter and their natural needs (like the pool size and depth) and there is one section where you can see the Otters playing in a deep pool from under the ground! Do you see what I mean by they look/act like cats? I love they're funny faces and cute whiskers! There is an 'experience' you can buy for about £100 where you go and hand feed the Otter and hang about with the keepers and go into the pens with them and see them which would be amazing to do! Maybe on a day when the kids are back at school so there are hardly any other people about. I'd love to pet an Otter! 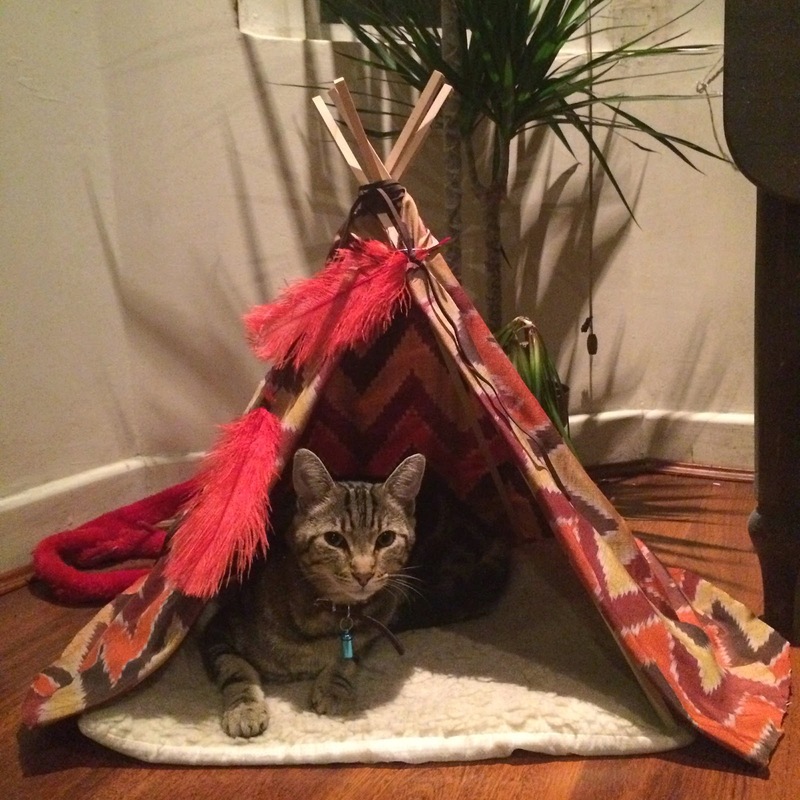 Have you been to any animal based places recently? A couple weeks ago I visited the Otter and Butterfly sanctuary in Buckfastleigh, Devon. Today I am going to focus on the Butterflies and I have to say it was one of the best experiences for me as you get to walk into a HUGEE greenhouse filled with exotic butterflies and moths. The house is really warm and filled with plants and flowers for the butterflies and moths to thrive, live and breed just as they would in the wild. You obviously can't touch them as that would be bad for them but they do land on you and you can get up close to them. Inside the Butterfly house there is also a huge lake for Terrapins and massive Koi carp. I had the best time, I love being able to be so close and interactive with animals so this was a wonderful experience. I can't wait to show you the Otters too, they were so funny and crazy! Yay! I have an outfit post for you today that I shot when I was in my Mum's garden. I love the small details on the dress like the lime piping and the button up sleeves. I wore my Vivienne Westwood Orb necklace with it as I wanted something small poking out where the shirt comes undone at the top. At first I wasn't too sure of the dress, I love the simple style but I felt the way it sat made me look rather large and showed the outline of my tum a bit too much. I just feel big in it but thats down to my own insecurities I guess. I NEVER wear any kind of sandals but I LOVE these! I have finally found the sandal style that I like and want more of! I love the tiny gold heel most of all. What do you think of it? I've always had Joules as one of the brands where I will by-pass most of their stuff but then find one or two items that I MUST HAVE! and are my style all over. It's no secret that I love a bath (see my latest Instagram post) and you may remember back along when I compared a local Cardiff brand Miss.Patisserie's bath bomb to a LUSH one for the perfect floral bath? Well today I'm back with showing off some more of my faves from Miss. Patisserie! Milk Bath* - this is a soft buttermilk fine salt that you pop in the bath to help relax muscles and gently exfoliate skin. Apparently Cleopatra swore by it! Pinktini Bubble Cup* - These little cut cupcakes are actually the ingredient to a massive bubbly bath! You can either break them up or use the whole thing (like I did). This one is Pomegranate scented. Frozen Blossom Bubble Cup* - A Tiani Flower scent with a hint of glitter, there is also cocoa butter to keep your skin smooth. The flower in this also looks gorgeous floating about. Have you ever tried Miss. Patisserie? I'm super in the mood for adventure at the moment or generally trying out new things and experiences! I've been looking on places such as Groupon etc... however not having much luck, any suggestions on things to get upto or place to look for new experiences?! Hope your week is going swimmingly.